Home Breakfast	What is a recipe developer? I get asked this a lot. Apparently it intrigues people. They also seem to think it’s glamorous, which it most definitely is not. But it is a fun and challenging job and something I really enjoy doing (especially when someone else is doing the dishes!). Basically it goes like this. You get a brief from the client/editor/creative director. It might be ‘5 ways with rhubarb’ or ‘Manly desserts for Fathers day’ or ‘One dish dinners’. Often there will be other criteria around it depending on the publication eg the ingredients must be from the supermarket, or they must cook in less than 30 minutes or they must be gluten free etc. You then come up with lots of ideas to fit that brief and send them on through. The client will pick which ideas they like the best and then it’s testing time. You buy the ingredients and make the recipe. If it doesn’t work, you do it all over again. Often I work with the client onsite so we all taste the recipe together and make adjustments as required. When testing the recipe I also factor in how it might be styled at the photo shoot so I make sure I have a good range of colour and shapes in the dish. From there all that’s required is to type it up in that publication’s style. It may be that they prefer you to write like this: “Place a large saucepan over high heat. Add the remaining ingredients” or like this: ” Place all the ingredients in a saucepan over high heat” or however they want it. This is the bit that can take some time as it takes a awhile to learn each style. Once this is done the recipes get handed back to the client to be cooked, styled and shot. 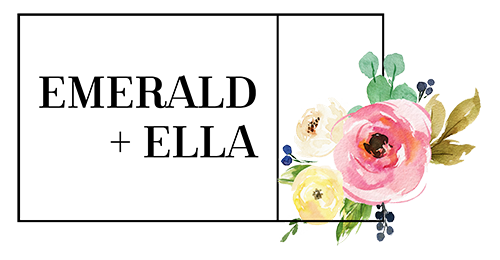 I am going to talk about what a food stylist does very soon too, along with some styling tips and tricks. Below are some recipes I have developed and their briefs. Spring chicken panzanella salad for a Weekday Dinners story in Recipes+ magazine. It had to be less than $3.50/serve and the ingredients had to be available at the supermarket. A ricotta and capsicum bake for a Women’s Weekly One Dish Dinners cookbook. 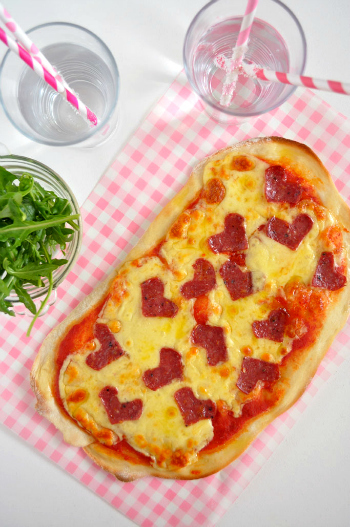 A Valentine’s day pizza for our Valentine’s Day e-book. It had to be something simple yet super cute and heart themed. A maple cheesecake tart with a pretzel crust for a Father’s Day sweets story in Recipes+ magazine. I find it glamourous! Probably because it’s just the sort of work I would love to be doing. Love those madeleines – where is the tin from? Hi Laura, hmmm I didn’t actually shoot the madeleines, and it was awhile ago so not sure where the tin was from. Perhaps a prop hire shop. In terms of training, I have a degree in nutrition and a diploma in food science, but mostly got into this line of work because of a passion for cooking and lots of hard work assisting stylists and food prep people. Can I also ask, where did you train?